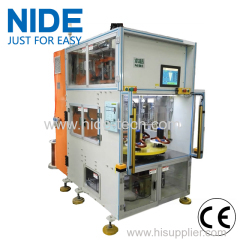 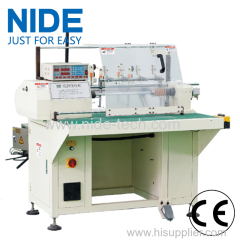 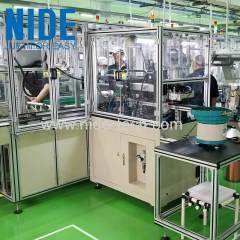 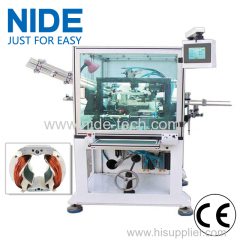 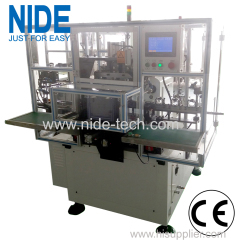 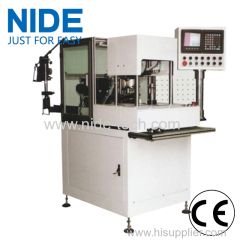 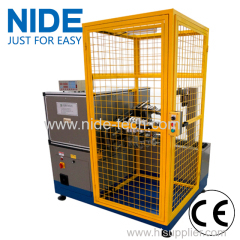 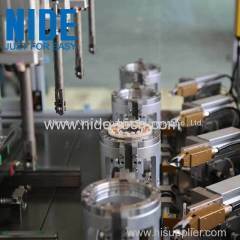 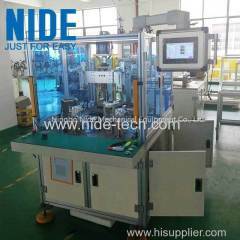 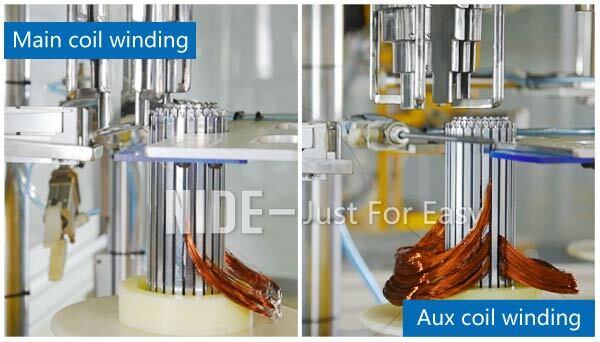 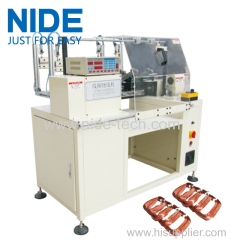 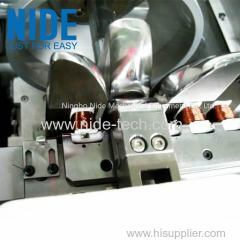 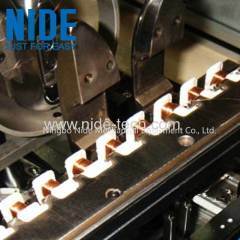 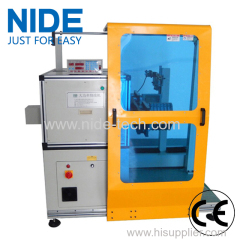 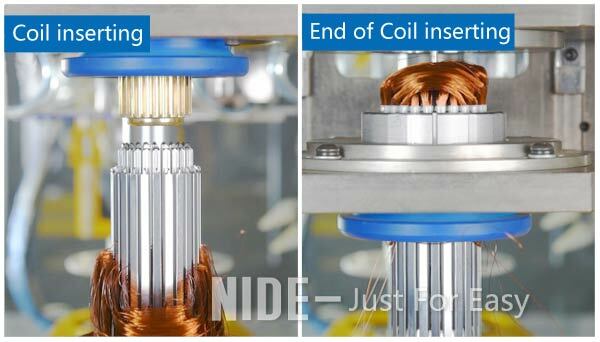 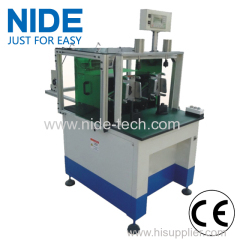 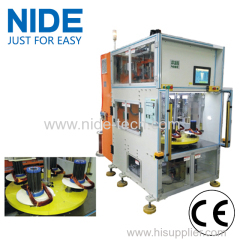 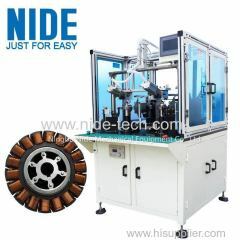 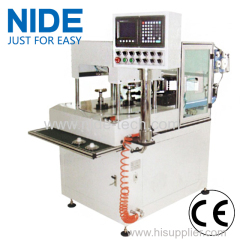 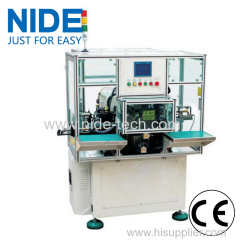 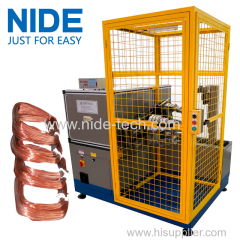 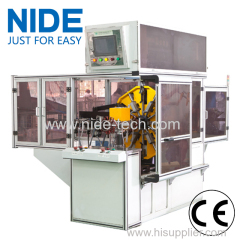 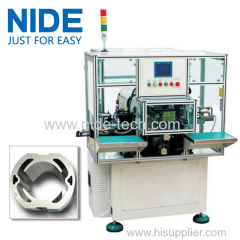 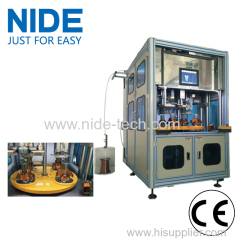 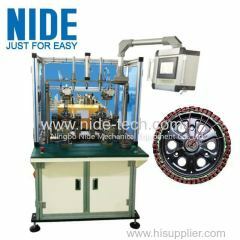 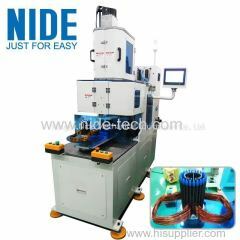 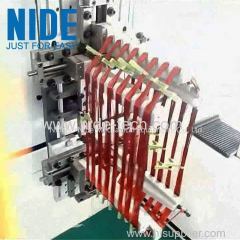 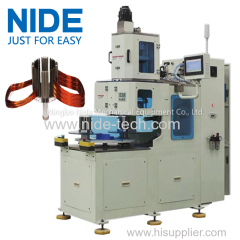 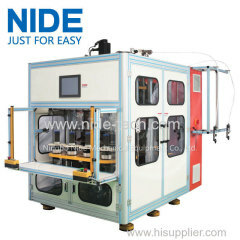 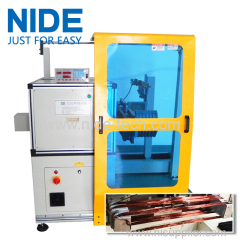 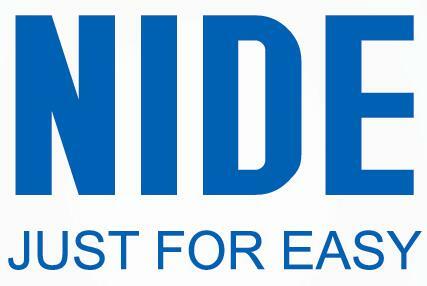 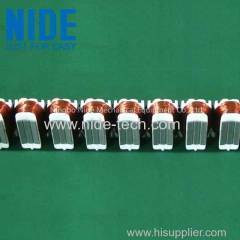 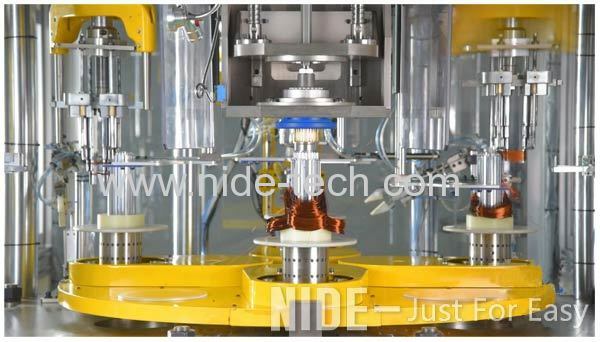 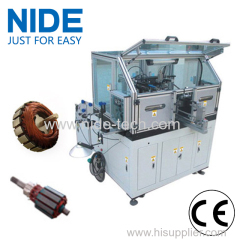 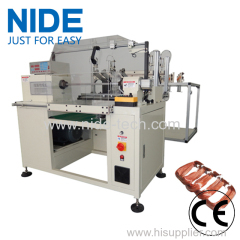 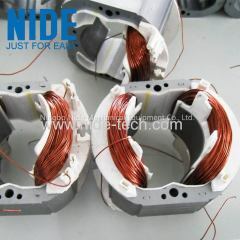 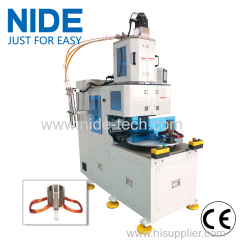 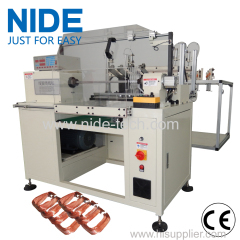 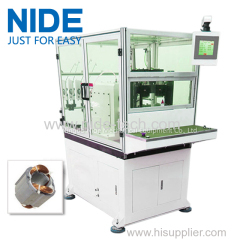 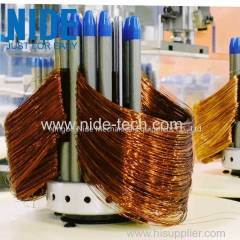 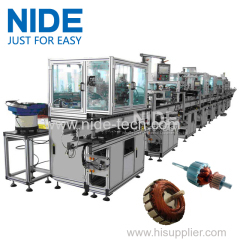 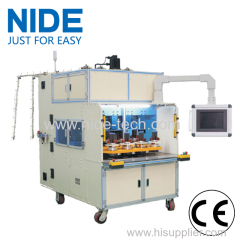 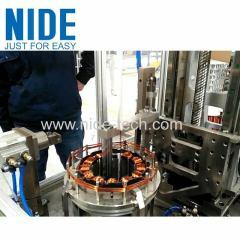 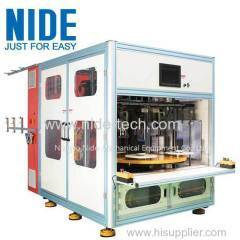 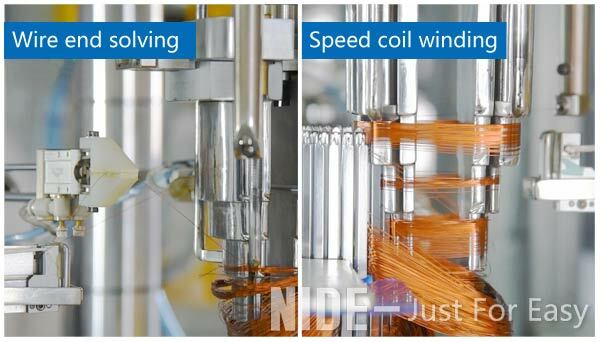 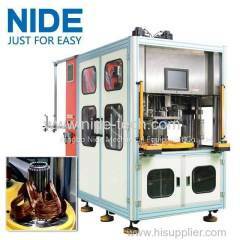 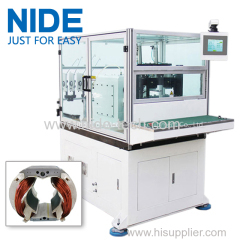 washing machine motor stator coil winding and insertion equipment from China manufacturer - Ningbo Nide Mechanical Equipment Co., Ltd. 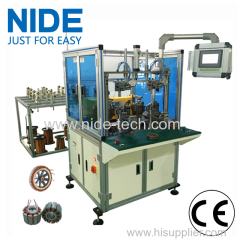 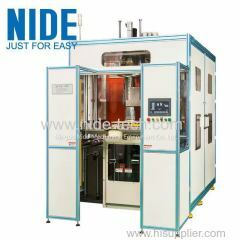 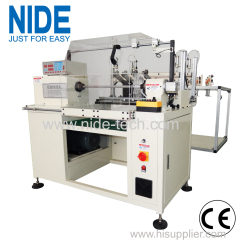 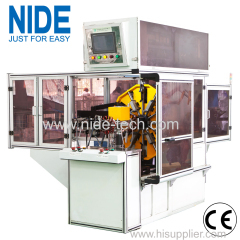 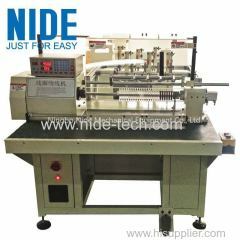 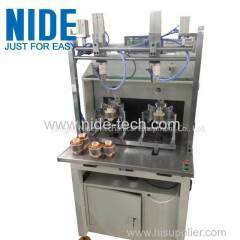 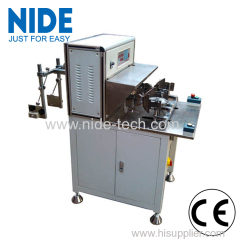 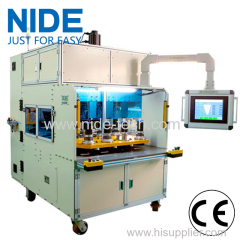 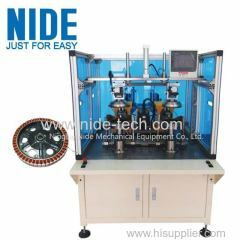 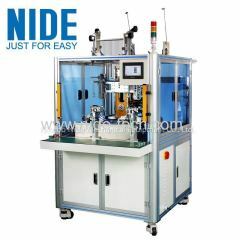 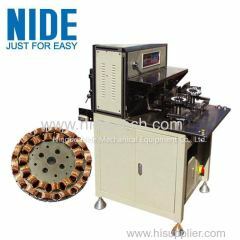 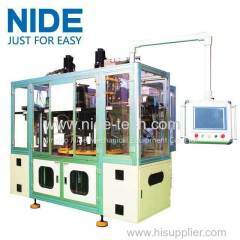 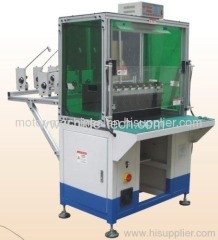 The motor stator coil winding and inserting machine is a four-station automatic coil winding and coil inserting machine with three-head winding and one-head coil inserting, which collects A-phase winding, phase-to-phase insulation ferrule, groove-making, B-phase winding, phase-to-phase insulation ferrule, C Phase winding wire weaving, phase-to-phase insulation ferrule on one machine. 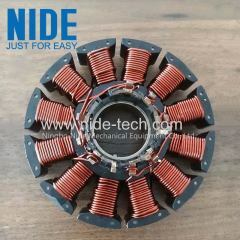 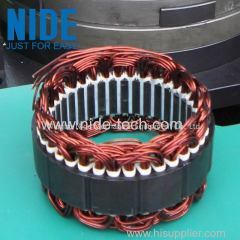 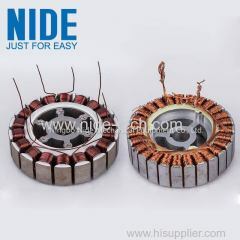 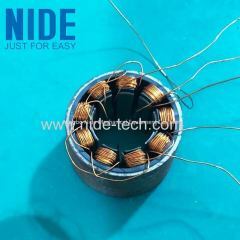 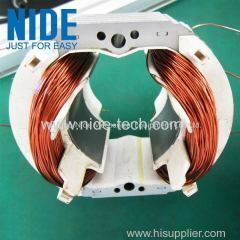 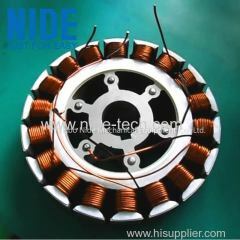 During winding, the motor stator coil will be auto wound to the tooling, so as to avoid the wire damage and snap caused by wire cross and disorder during manual wire transfer. 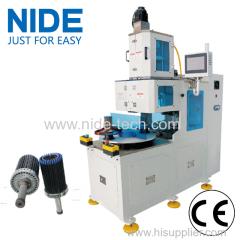 The coil winding and inserting station is controlled by the dual-power servo motor, and the parameters such as winding, pushing the line, pushing the height of the paper, and changing the product stack thickness can be set on the touch screen. 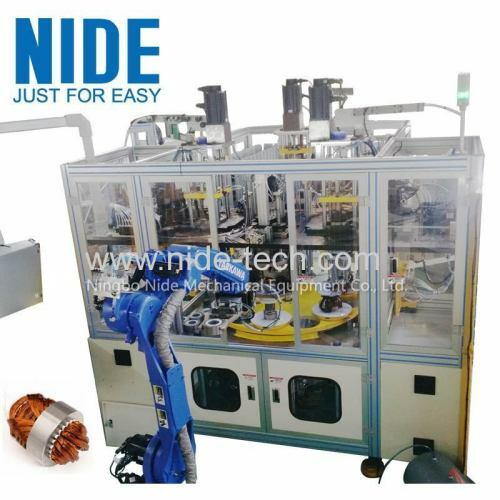 With six stations wokring at the same time, the stator coil winding and inserting machine will be save labor cost, high efficiency, and can fulfill the 2-pole, 4-pole and 6-pole three-phase motor coil winding. 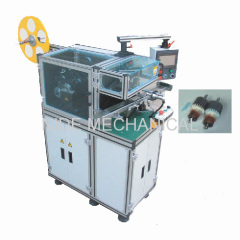 The motor stator coil winding and inserting machine uses the German Beckhoff CNC system as the control center; the Huichuan servo motor is the actuator; the Autonics sensor is the signal acquisition component. 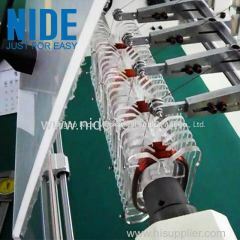 The data display and input adopt a touch monitor. 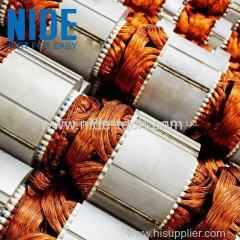 The product is mature in technology, advanced in technology, reliable in quality, and convenient to use and maintain. 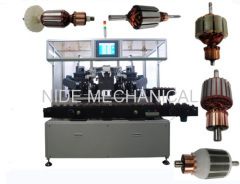 This motor stator coil winding and inserting machine is suitable for miniature induction motors , air conditioner motors, washing machine motors, compressor motors, fan motors, generator motors, and pump motors, etc.